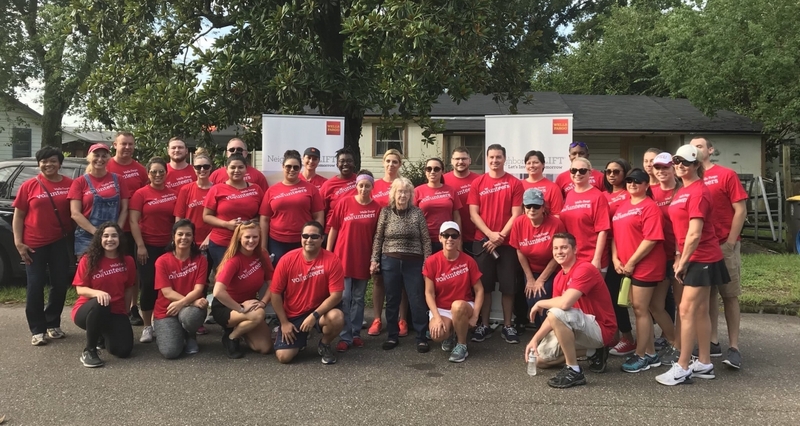 JACKSONVILLE, Fla., June 25, 2018 /3BL Media/ – Wells Fargo & Company (NYSE: WFC) today announced a total of $500,000 in donations to five local nonprofits to help revitalize Jacksonville neighborhoods through the Wells Fargo NeighborhoodLIFT® program. Identified in collaboration with Mayor Lenny Curry, the Wells Fargo NeighborhoodLIFT local initiative grants will provide support for affordable housing and economic and workforce development. Clara White Mission received a $200,000 grant to support the final stage of development of mixed-use commercial and affordable permanent housing for low-income residents with supportive services. The first step to more stable housing for the homeless and chronically homeless often involves basic support services such as feeding and shelter programs. Clara White Mission will further stabilize neighborhoods by providing shelter and services to homeless individuals and families who are on the streets. City Rescue Mission received an $80,000 grant to support an existing initiative aimed at reducing the number of unsheltered homeless people from the streets of Jacksonville. This project involves the retrofitting and re-purposing of an existing building to move the food storage warehouse. It includes adding walk-in refrigeration and freezers at one location and replacing a commercial stove at another facility. Builders’ Care received a $50,000 grant to support its mission of providing affordable or no-cost construction services to the elderly and disabled in the Northeast Florida community while promoting sustainable homeownership. Operation New Hope received a $170,000 grant to support job skill training, with $45,000 for Jacksonville Port Academy, which was created by Operation New Hope, Florida State College at Jacksonville and JaxPort. Another portion of the $170,000 grant will go toward job skills readiness training for individuals between the ages of 16 and 24, providing them with skills and knowledge to compete for jobs in the freight, logistics, material handling, distribution and warehousing fields. The program also promotes neighborhood stabilization by helping low-income individuals find, and maintain, employment that leads to housing and financial stability. The Wells Fargo NeighborhoodLIFT program launched in September 2016 for Jacksonville homebuyers with a $5 million commitment by Wells Fargo to boost local homeownership and revitalize neighborhoods. Wells Fargo collaborated with NeighborWorks America and its local network member, Housing Partnership, Inc., to locally administer the NeighborhoodLIFT program and provide home down payment assistance grants up to $7,500 for about 450 Jacksonville homebuyers. Between 2012 and 2016, more than 775 Jacksonville homeowners have been created. NeighborhoodLIFT® program is the single largest corporate philanthropic effort of its kind in Wells Fargo’s history. In collaboration with NeighborWorks America, the Wells Fargo LIFT program has helped create more than 17,650 homeowners in 58 communities since 2012. A video about NeighborhoodLIFT programs is posted on Wells Fargo Stories.